To activate this feature go to Profile Builder -> Settings, click on the Content Restriction tab and then set the Enable Content Restriction option to Yes. The settings for this feature are present on the same page. This feature also supports WooCommerce Products so you can restrict access to them based on User Roles or the logged in status of the user. This works through the normal Content Restriction metabox that appears on Products (identic to the one that appears on posts/pages). 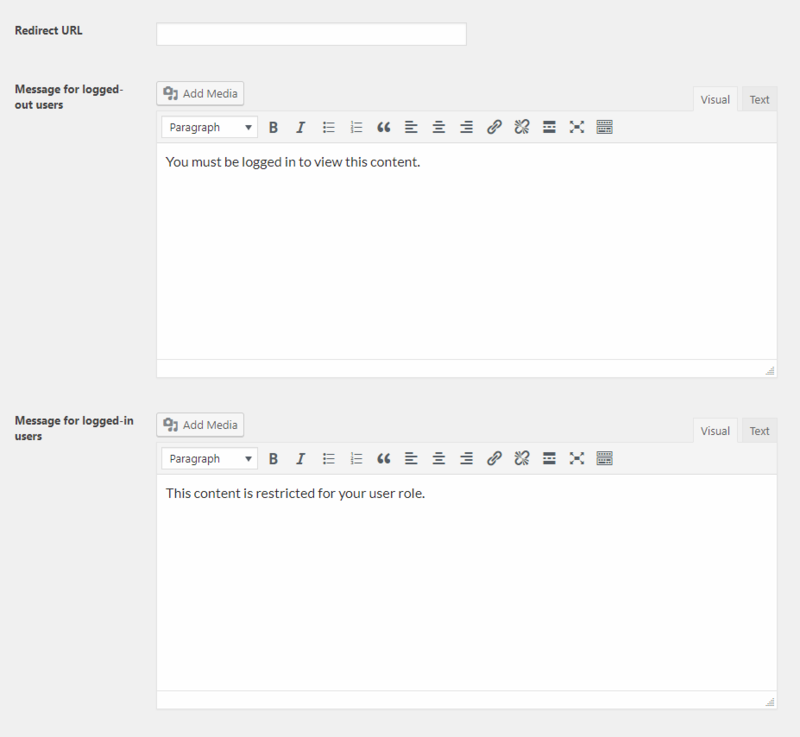 Content Restriction metabox on WooCommerce products.